Speed is relative to the size of the beholder. To the human eye, an ant’s legs move fast, so fast that they almost look like they hover around rather than walk. To an ant, they are just moving at their normal pace. They see the details, we see the big picture. Have you ever seen a leaf mysteriously floating across a tree limb? 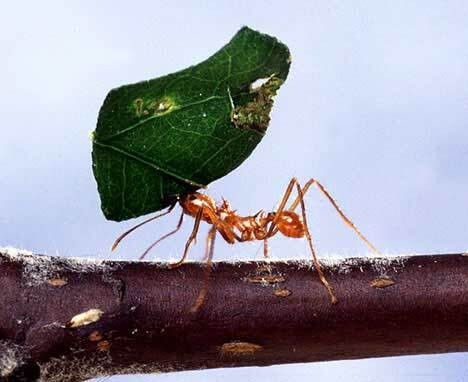 The tiny ant with all of its strength carries it along. It takes a careful eye to see the explanation behind the levitation. In the E-lit example we only receive as much as the writer wants us to know. He knows his stories to a greater detail but chooses to only disclose certain information. We see the big picture, he, like the ant, sees the details. Quickness is like looking out the window of a speeding train. You don’t get to see the surroundings closest to you. They are nothing but blurs. Your view lacks details and in-depth description. If you focus on a distant object though, you can easily see the entire picture. Like Calvino discusses, quickness seeks to eliminate the unnecessary and focus on the crucial parts of the story. A point is the most basic of the graphics. Simple, like the folktale stories mentioned before that lack description and detail. One point can be insignificant, the focus of the page, or part of something bigger, disappearing into the mass of many. In the case of Like Stars on a Clear Night Sky, each individual star is its own point, all varying in size. Some are insignificant; others can interact with the reader by revealing a story. The speed with which one gets through the piece depends on how fast each interactive point can be identified. Description: Like Stars in a Clear Night Sky takes advantage of an elegant interface to present the type of lore often passed from parents to children. A voice, speaking Arabic, is paired with text in English, asking readers if they would like to hear a series of stories. Clicking blue stars in the night sky gives access to sparse stories. In this E-lit example, the reader can experience interactivity and read whichever story they want out of the mix. It’s a simple background of stars; some with a blue-ish hue to indicate that you can click on them. There is a voice at the beginning to spark your attention. The stories are placed in the center of the screen where you can scroll down if necessary. What makes this piece representative of quickness is the pace it’s actually viewed at. There are a variety of stories but they’re all short. It reminds me of Calvino discussing the folktales. The stories are folktales. They are simple and short. Extreme detail is not needed. The reader is less likely to lose interest because the stories are quick and have different plots, yet it all somehow connects to the mysterious voice’s life. Quickness is a writing quality based on pacing. How compact can one make a sentence without it ever losing meaning? “Quickness of style and thought means above all agility, mobility, and ease, all qualities that go with writing where it is natural to digress, to jump from one subject to another, to lose the thread a hundred times and find it again after a hundred more twists and turns” (Calvino 46). Calvino stresses the importance of a rhythm to writing that keeps the piece organized and focused. most perfect crab ever seen” (Calvino 54). I love this story because it shows how it took both 10 years and an instant simultaneously to draw a crab; two conflicting time periods. 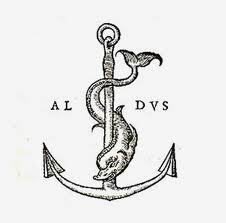 This is Calvino’s representation of his own personal motto, Festina lente or “Hurry Slowly,” symbolized by an emblem of a dolphin twisted around an anchor as shown here. Calvino uses the horse as an emblem to describe quickness. It isn’t just physical speed that he is concerned with but speed of the mind. 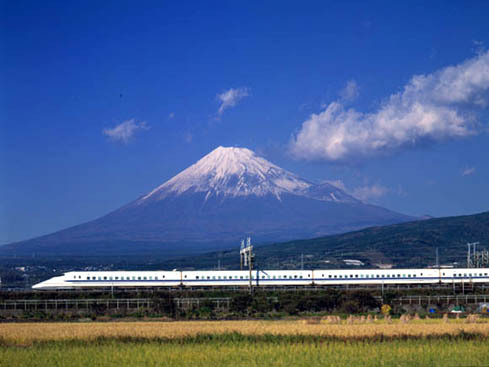 “Speed…it is most pleasurable in itself; that is the vivacity, the energy, the strength, the sheer life of such a feeling. Indeed it almost gives you an idea of the infinite—elevates the soul, fortifies it” (Calvino 41). Calvino discusses how the folktale is representative of quickness because of the relativity of time within the story. Details are not important and nothing is included that doesn’t have a necessary function in the plot. Take this story, for example. Who Is King Of The Forest? “Certainly I am,” replied Fox, “All the animals run from me in terror! If you want proof, come with me.” Fox went into the forest with Tiger at his heels. When they came to a herd of deer, the deer saw Tiger behind Fox and ran in all directions. “I’m surprised, but I’ve seen it with my own eyes. Forgive me for attacking you, Great King.” Tiger bowed low and with great ceremony he let Fox go. This story is made to be told orally where details can’t be remembered. Rather than details, it stresses repetition. The tiger and the fox approach different groups of animals but the same scenario plays out. The story is not disinteresting due to its length.